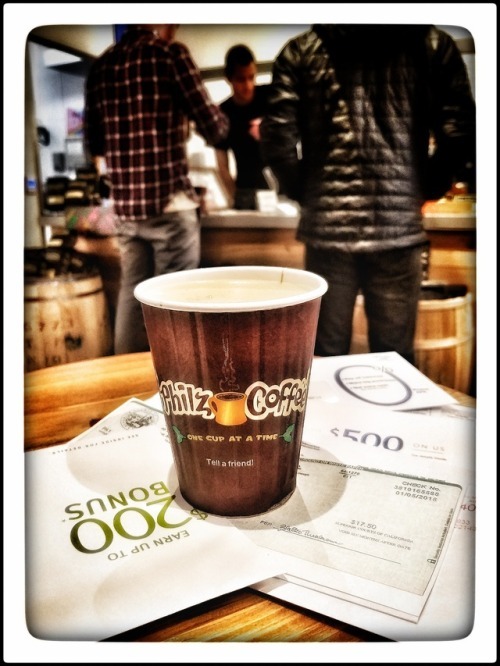 Philz Coffee Front Street Downtown SF If I must start the day so early, I need a reward/incentive…. What’s All The Phuss About Phil’z? Is it really worth waiting in long lines of insufferable millennials, not once, but three times? 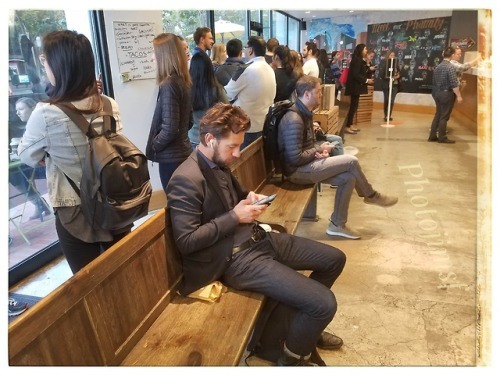 The first line is for waiting, not at the counter, but just for the privilege to step up to the counter, and place your order. Don’t even think about approaching until the barrister channeling the elementary school principal gives you permission! The second line, not as long and moving a bit faster, is for the privilege to pay at the cash register. Why can’t they just eliminate the first line, and take your order and your money in one transaction? Too simple I guess. Then you wait. And wait. Boorish tech-bros loudly brag about ramping up their latest bootstrap disruptor platform. Or the rock-star pitch they gave for the most awesome crowd-sourced start-up ever. Finally, the coffee nazi behind the counter yells not your name, but the name of the coffee drink you ordered. “Small Philharmonic extra creamy double Splenda!” Hmmmm, is that mine? Or did someone else order the same drink? It made me late for class. My, umm, typing and MS Office skills class. But was it worth the investment (gasp, gulp, $4.50 with tax and tip)? A. Yessssssss. It’s the best coffee on the planet, IMHO. I will spend my last dollar, and suffer through the Phil’z experience, just for a cup of that liquid gold. Hot coffee with a shot of Bailey’s. 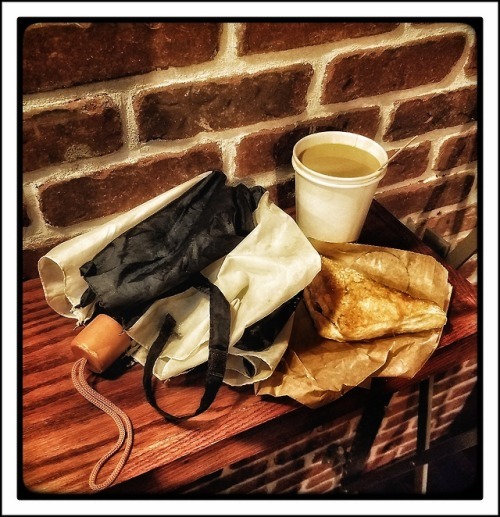 Perfect for a cold damp day in downtown San Francisco. Iron Horse Coffee, hidden on Maiden Lane, turns into a bar at 4:30 pm. There’s a cute, flirty young man behind the counter. Two women sitting close by talking non stop. Networking and mentoring in the high pressure advertising industry. Oh my god, dishy office politics, sprinkled with lots of tech jargon and new-age workplace speak. After they depart, a few moments of quiet relief. But then the cutie-pie flirty barrister blasted the silence with some loud, edgy, IDM. “Intelligent Dance Music”, for your information, is supposedly all kinds of electronic club dance music remixed with ambient and intended for home listening. I Googled it. “Army Of Fear” by Lorn, is what I was serenaded by. It grows on you after a bit, it’s got a nice beat, I’m adding it to my YouTube playlist. I pride myself on keeping up with the kids these days and all their new musical trends. Small Philz Dancing Water, extra creamy, two Splenda. Best coffee treat ever after picking up my mail in the Castro. Just a measly check for my jury duty service, and lots of bonus credit card offers. beach vacations and whale watching. Suddenly those card offers sound more appealing. Perhaps a plane ticket back to Thailand?